We have seen multiple times in the past that Mayanti Langer has been a prey to the trollers. However, she has time and again given a fine reply to the haters. 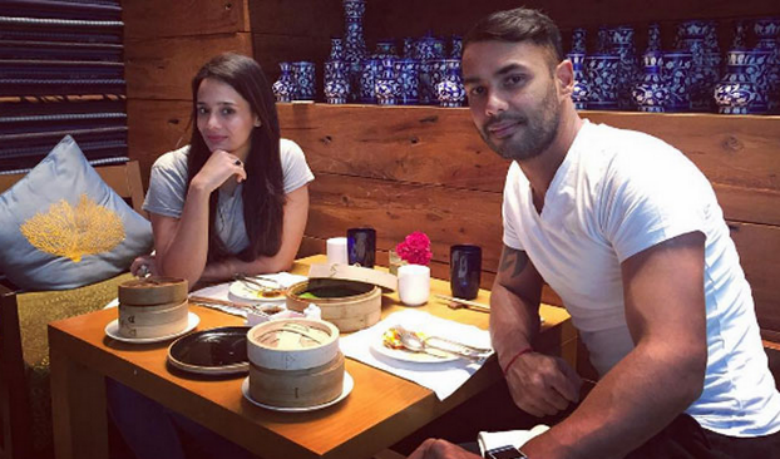 Meanwhile, Stuart Binny, who had played his second match of the season for the Rajasthan Royals, looked in good form with the bat. Binny, who came out to bat at the number seven position was able to hit the ground running. The right-hander smashed one four and one six on the first two balls of the innings he faced. Consequently, he kept Rajasthan Royals in the hunt and gave a ray of hope to his team. The right-hander was striking the ball cleanly and scored a blistering knock of 33 runs off just 11 balls. The Karnataka batsman scored two fours and three sixes in his quickfire knock. However, Stuart Binny could not finish the innings for the Royals as they fell short by 12 runs. Thus, it could be debated that why Stuart Binny was not promoted in the batting order. However, the all-rounder didn’t get a chance to bowl in the first innings. Meanwhile, a troller tried to take a dig at Stuart Binny and asked Mayanti Langer that where is her husband. Langer, who is known for her witty replies, said that the troller might have missed the fag end of the match between Rajasthan Royals and Kings XI Punjab, in which Stuart Binny had excelled. Meanwhile, Kings XI Punjab won their fifth match of the season as they won by 12 runs. The home side had added 182 runs in their allotted 20 overs. Ravichandran Ashwin was the Man of the match for his brilliant cameo of 4-ball 17 and scalped two wickets in his four-over quota. Furthermore, he conceded only 24 runs in his four overs.